One of my students recently asked me what she could do to help her work on her business English at home, in addition to attending the general English classes she has with me. I found a few links to start her off, and thought they might be useful for other students too. Business English Pod is a podcast series which you can download for free, although you have to pay if you want to get any of the extra resources that are published with the episodes. They are divided into categories like meetings, telephoning and negotiations. The business and work section of the British Council Learn English website has two podcasts and a business English online magazine. British Council also has an English for business section. Business English Resources has lots of lists of phrases and vocabulary in their student section, along with some short exercises to practise them. Business Spotlight magazine is published in Germany. Here’s an example of one edition.The magazine is available at three levels, A2, B1-B2 and C1-C2. All of the articles are in English, with a glossary of English-German translations for difficult words with each article. Their website is mostly in German, but there are lots of useful exercises on there if you dig a little – I think it’s worth it even if you don’t speak German. You can listen, read, and practise vocabulary. Christine Burgmer has a business English blog aimed at students. Business English Study has complete lessons based around video recordings, which you can work through as self-study. Richmond Mazes are cheap ‘choose-your-own-adventure’ style books and ebooks which are based around work situations. You can read my review of ‘Crisis at Clifton’ on my other blog. P.S. Teachers might be interested in this list of links for teaching business English from my other blog. Let’s face it: listening in another language is hard. Really hard. Golden rule #1 for developing your listening is to listen often. There is no replacement for regular listening practice. This could be listening to the radio, watching a TV series or film, listening to a podcast, or even listening to an audiobook. However, as well as this kind of ‘extensive’ listening, ‘intensive’, or focused, listening is a useful use of learning time. One easy way of getting some intensive listening practice is to do a dictation regularly. A dictation is an activity where person A (or a recording!) speaks and person B writes down exactly what person A said. You have probably done this in class before. “Person A” might have been your teacher, or another student. The good news is, you don’t need to be in class in order to do dictations: all you need is an audio recording that has a transcript! 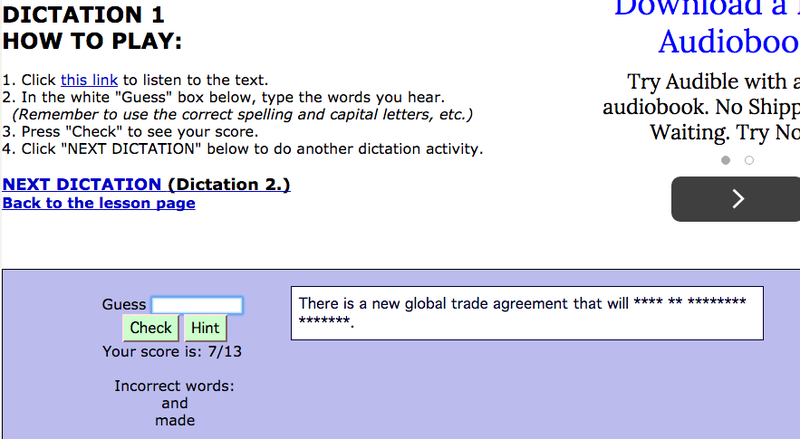 Or, a website specially designed for learners of English to do dictations. This series of posts will introduce you to various resources for developing your listening.Some of them are internet-based, others not, so there is plenty to choose from! The first few posts will be dedicated to dictations, as there are too many resources and ideas for one post. It’s easier to try one thing at a time! Here, you can click on any of the title links in blue to be taken to that dictation. The great thing is, new ones are added all the time! So you will never run out of new material to practice with. Can you see the instructions at the top left of the screen? First, you click the link provided in order to play the audio. In the purple rectangle, you have two boxes. One says “Guess” in front of it and one has stars in it. The one with “Guess” in front of it is the one you type in. The one with stars in it is the one your correct words appear in. The stars correspond to the letters and words of the audio recording. So, in the above example there are thirteen words and the first word has five letters. I thought I heard the words “and” and “made” but I was wrong so these words are listed under “Incorrect words”. Now I know not to try them again! My score, 6/13, refers to the number of correct words I have guessed minus the number of mistakes I have made out of the total number of words. So, as well as training your ears, you can use your knowledge of English grammar and vocabulary to help you find the right words! 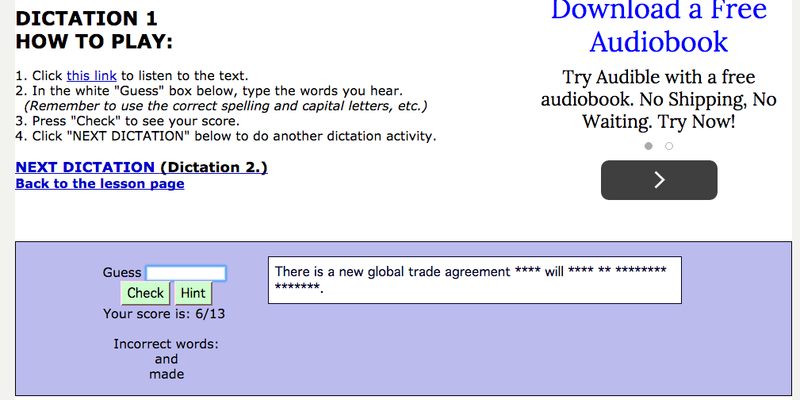 Each dictation link from the dictations page has multiple dictations attached to it. When you have completed a dictation, click on “NEXT DICTATION (Dictation x)” to move on to the next activity. (Where ‘x’ is the dictation number. In the above picture, Dictation 2 is next). Enjoy! And stay tuned for the next post in this series, in which I will introduce you to another useful resource for doing dictations. Are you currently preparing for the IELTS exam? If so, you might have noticed that there is a lot of stuff available on the internet to help you. But where do you start? Here! This post gives you a collection of links that could help you in your preparation and explains what you can do with each of them. This is where you should start: this is the official IELTS website and contains all the information you need to know about how to register, how to find a test centre etc. It also contains a test sample for each of the 4 components and a complete set of FAQ’s. Have you ‘liked’ and ‘followed’ this page yet? It is linked to the official IELTS page and is regularly updated with quiz questions relating to the various parts of the IELTS exam, as well typical grammar and vocabulary-related questions. You should find this website very useful. It has sections on writing, reading, speaking, listening, grammar, vocabulary, as well as advice and opportunities for practice, and a section where you can find all the material that you can download for free e.g. sample tests, sample answers for the writing etc. You can also look at what other students have written for Writing Part 1 and Part 2, together with feedback on their work. You might already have visited the British Council Learn English page. Did you know it also has an IELTS section? The British Council Learn English IELTS section has some online practice materials, test papers and tips to help you get ready for all four modules of the IELTS test. You can also watch a video where learners from all over the world share their views and opinions about IELTS (How do they compare with yours?!) 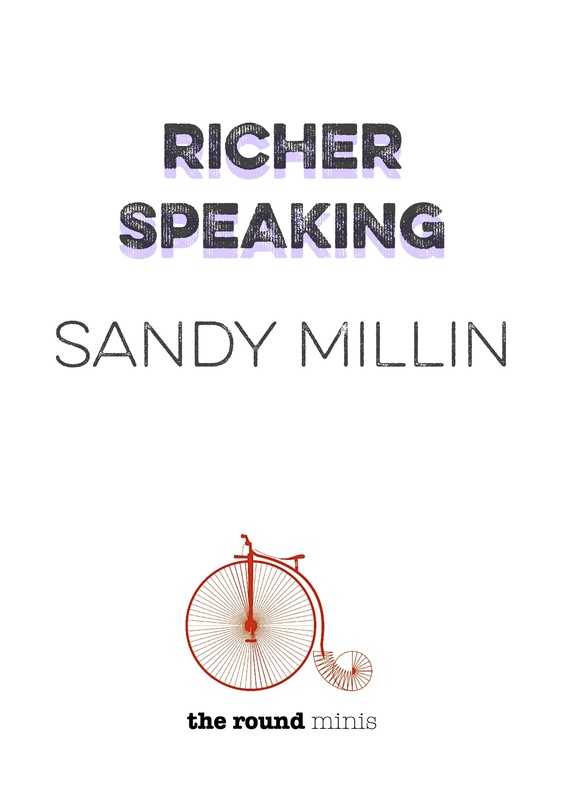 and a series of videos that focus on the speaking module of the test. Doing practice tests is a good way to get used to the feeling of doing an IELTS exam. At first you may need longer than the time limit assigned to each test component, but make sure that before you do your IELTS exam you have done some practice tests in the correct time limit e.g. 1hr for the Writing Paper Parts 1 AND 2. Here, at IELTS Exam-Net, you can find a collection of freely accessible practice test materials for all four test components. There is lots of material for IELTS preparation that you can use on this website. It looks at each of the four components as well as relevant grammar and vocabulary for both General and Academic IELTS (the vocabulary activities on this site for Academic IELTS are based on the Academic Word list – do you know it? See the Vocabulary section for more information!). It provides you with lots of opportunities for learning how to approach the exam, practising for it, and, with regards to the writing part, seeing what other students have produced. 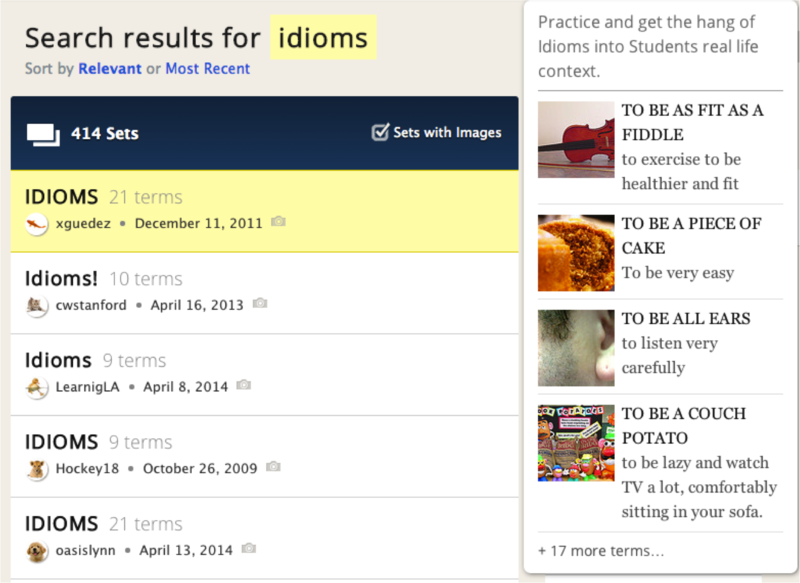 Visit this website for daily IELTS ‘lessons’ from ‘Simon’, who is an ex-IELTS examiner. For example, the latest lesson is ‘IELTS Writing Task 1: using words from the chart’. There are categories for each of the components, and the writing divided up into Academic Part 1, Academic Part 2 and General. There is also a section dedicated to general advice and one for useful grammar and vocabulary. Make sure you prepare for the correct reading test: the Academic IELTS reading test and the general IELTS reading test use different texts. The General IELTS test uses things like newspaper articles, while the Academic test using texts that are more academic in nature (funnily enough!). Decide which test is more suitable for your requirements and then use practice materials that are relevant to it. This is a link from IELTS Buddy that gives an overview of the reading component of the exam. It clearly explains the different question types, the requirements of each of these, and offers some useful tips. From the British Council Learn English IELTS page, this is a reading text and some questions, together with an answer key for checking afterwards. This is a comprehensive page from DC IELTS which focuses on the reading component of the IELTS exam. Here, you can find links to tutorials that focus on each of the reading question types (as with the overview above, yes, but have a look at both as you may find one easier to understand than the other! ), tutorials that focus on increasing your reading speed (being able to read fast is very important as you only have an hour to complete the reading exam), tutorials focusing on the necessary reading sub-skills (e.g. skimming and scanning), a band calculator (so you can translate your reading score into an IELTS Band) and some exam tips. The listening paper is the same, whether you are doing General or Academic IELTS. In this link, IELTS Buddy offers you a clear overview of the listening component of the IELTS exam, as well as a selection of practice tests to do. You can do some more listening test practice on this part of the British Council Learn English IELTS page. From the DC IELTS website, this page gives you a clear overview (the same applies as with the reading: look at more than one overview so that you can check your understanding and find the overview which makes most sense to you) of the listening component of the IELTS exam, together with links to 10 lessons that focus on various sub-skills that you need to be confident with in order to do well in this component. It also boasts a Band Calculator that you can use to translate your listening scores into IELTS bands. On the very site that you are visiting now, Independent English, you can find this post on IELTS friendly podcasts. It gives you links to a range of podcasts on IELTS style topics e.g. science and global problems, and offers suggestions for using these effectively for your listening preparation. Remember, it is good to listen extensively, not just to do test practice, in order to develop your listening. The Speaking test is also the same whether you are doing Academic IELTS or General IELTS. It is very important to know how you are being assessed. Here, you can look at the assessment criteria for the speaking component of the exam and measure yourself against them. This is a series of videos put together by the British Council, which give you advice on how to approach the speaking component of the IELTS exam. Here is a comprehensive overview of the speaking component. This DC IELTS page contains a useful map of the speaking exam, some tips for success, some training videos, some practice questions, some information about the exam format and some advice on how to use preparation time. And that’s just for starters! Make sure you prepare for the correct Writing paper. As with the reading, the Academic IELTS and General IELTS writing components are different. Academic IELTS requires you to write about a diagram (e.g. a graph, a chart, a map, a process…) in Part 1 and to write an essay in part 2. You are expected to use a formal, academic register. In General IELTS, task types have a more general focus e.g. writing a letter. Most of the links in this section apply to the Academic IELTS Writing paper. However, you may find that on the websites in question, you could also search for and find information about the General IELTS writing paper. This post from the IH London Blog helps you prepare for the IELTS writing component, by focusing on how to structure a Part 1 and a Part 2 piece of writing. Here, ‘IELTS Buddy’ provides sample Writing Part 1’s for all the possible task types and analyses the process of producing an answer to a Writing Part 1 task. Again from ‘IELTS Buddy’, here you can look at other students’ work together with feedback on it. As we mentioned in the Speaking section of this post, it is important to know how you are being assessed. This is a link to the criteria used for marking Part 1 of the writing component of the IELTS exam. This is a blog post from TEFL Reflections, containing a podcast focusing on the Task Achievement category of the assessment criteria for Part 1. Why not listen to it and find out more about this category of the assessment criteria? You would be ‘killing two birds with one stone’: practising your listening AND learning more about writing! NB: This blog also has other useful posts relating to the IELTS exam including focus on writing and on speaking. If you put ‘IELTS in the search box, you can find these. Did you know that the Writing paper part 1 can potentially give you not just one but TWO diagrams to comment on? As if one wasn’t bad enough! What do you do then? Don’t worry, this article on Exam English explains how to approach an IELTS part 1 with two sources of data within a single task, e.g. a graph and a table. Do you know how important it is to make a plan before you start writing? This blog post on the IH London blog focuses on how to improve your writing score for part 2 by planning more effectively. NB: This blog contains other useful IELTS-related articles in its exams category. Just search for ‘IELTS’ to bring up all the posts. In this section of IELTS Buddy, you can look at example part 2 essays written by other students, together with feedback. And here is the criteria that examiners use for marking Part 2 of the writing component of the IELTS exam. Look at them carefully and try to identify the differences between the bands. Writing a good introduction and conclusion can make a big difference to the standard of your writing. From Exam English, this is a detailed explanation of what examiners are looking for in the introduction and conclusion of a Writing Part 2 essay. Writing part 2 questions follow a particular format. There are different types of question, each requiring a slightly different response. Test-takers often lose marks by misunderstanding what the question wants them to do. Here is anther article from Exam English, this time explaining how Part 2 questions work and how to make sure you have answered them fully. From DC IELTS, this page is to help you with IELTS essay writing. It looks at the different types of essay, structuring an essay, the process of writing an essay, some sample essays, vocabulary for essay writing, a focus on each portion of the essay (introduction etc. ), and guidance on how to review your essay effectively once you’ve written it. Work your way through this page and you should hopefully start to feel more sure of yourself in this section of the exam! This is a link to all the lessons on the IELTS Simon site that focus on IELTS grammar and vocabulary-related topics, for example ‘IELTS Grammar: natural answers‘ and ‘IELTS Vocabulary: Band 7-9 words‘. If you look at one of these a day between now and your test, it will already be a jolly good start. Remember, little and often is key in preparation. Don’t leave it all until the last minute! 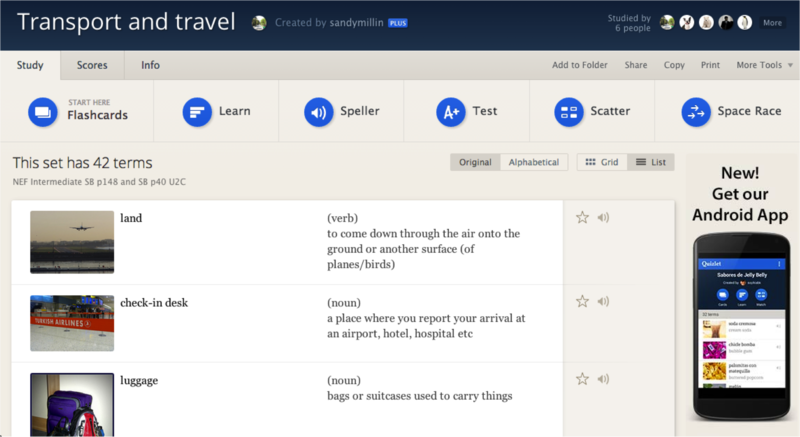 Quizlet is a useful website that allows you to review and memorise vocabulary, while having fun at the same time. Registration is free and can be done by setting up a new account or by using a Facebook or Google account. 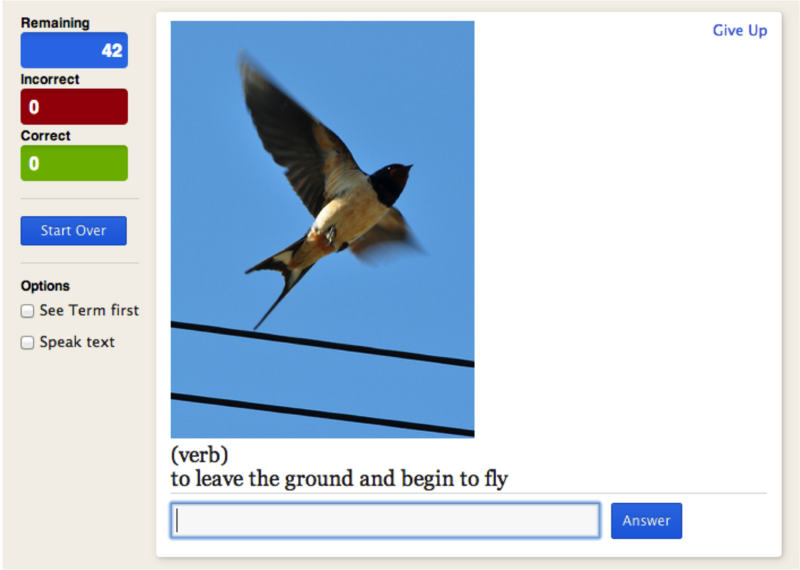 You can access sets of flashcards that other test takers have made, or create their own. Quizlet can be used on both smartphone and tablet devices (Apple and Android) as well as your computer. If you are not sure how to use Quizlet, here is a guide from Independent English to help you! The Academic Wordlist is a list of the most commonly used words in Academic English. Familiarity with these and ability to use them is one way of bringing up your IELTS scores. If you go to this link at Exam English, you should find the academic wordlist and some related quizzes. 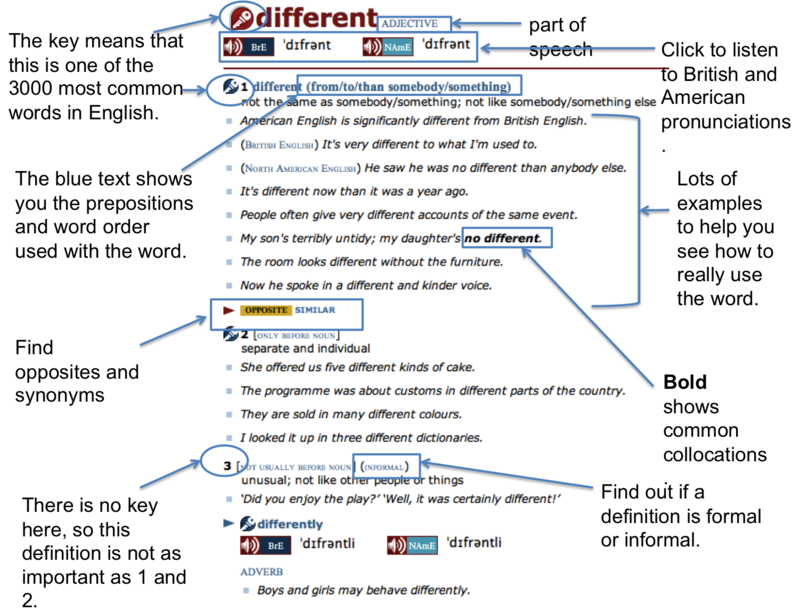 Wordandphrase.info is a tool for corpus (a collection of texts stored electronically) analysis and the academic version allows you to search an academic corpus for words or phrases and generate concordances (lists of examples showing how they are used), as well as definitions, synonyms, collocates and frequency information. Exam English have put together a twenty question grammar quiz for IELTS test takers. Why not see how you do? This link, from the IELTS-exam.net website, offers offers “concise yet comprehensive coverage of the grammar necessary in order to be successful in the IELTS test.” You might find this a useful reference point. This video from the British Council shows students from all over the world giving their opinions and tips for the IELTS test. The top five fears of IELTS test takers and how to overcome them. How do they compare to your fears? 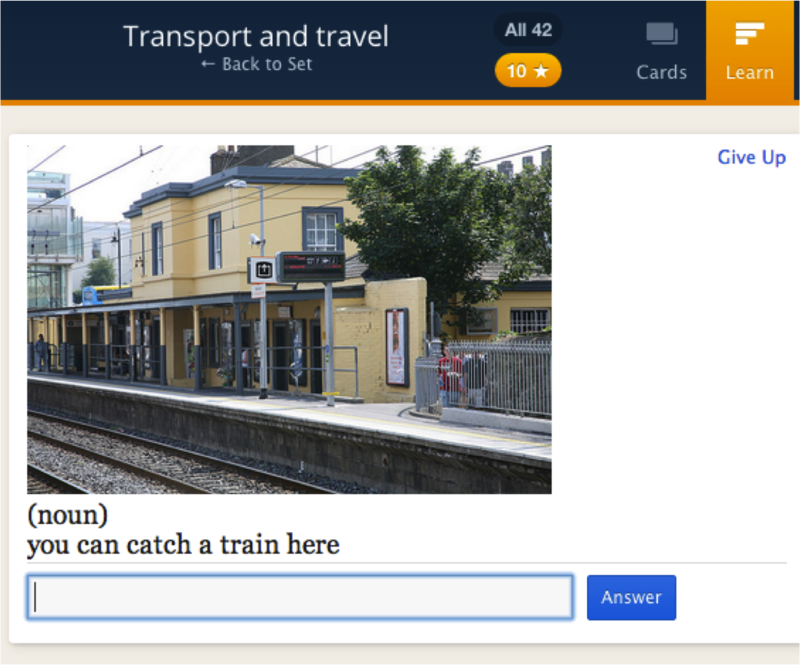 Knowing the exam well is a key strategy, and this is a quiz from the DC IELTS page for you to find out where they are with this. This app was developed by Sam McCarter, writer of the Macmillan Ready for IELTS coursebook. It works on iPhone, iPad and Android devices. For free, you get access to a wide range of interactive activities to practice essential IELTS exam skills, and for £3.99 or five dollars, you get that plus ‘take the test with an interactive video examiner’, detailed hints and tips on all the different parts of the exam and an interactive ‘can do’ statement section with which you can score yourself. If the course book is anything to go by, then I would imagine that this app will be worth the small cost. But even if you don’t want to pay, why not at least get what’s available for free?! This is a free app developed by the British Council, which enables you to work on building up their IELTS-relevant vocabulary, through doing lots of quizzes and fun activities. There are different topics, typical to IELTS, such as ‘The Environment‘ and ‘Work and Business‘. Do you know any other useful websites or apps for IELTS preparation? If so, please comment on this post and share them with other test-takers! We hope you have found this list of links useful. Good luck with your test preparation and fingers crossed you get the band you are hoping for! Do you have a Twitter account? Do you tweet in English? Did you know there are lots of people you can follow who can help you with your English? If you don’t have a Twitter account, this video will help you to join. You don’t have to write on it, because you will learn a lot just from reading the things you find on Twitter, but writing is great practice! Here are some of the people/organisations you can follow, along with their bios. Most of the tweeters here share useful links or teach you vocabulary in a word/phrase of the day format. If they do other things too, it tells you in their bios. Find free resources for adults learners and opportunities to interact with others. 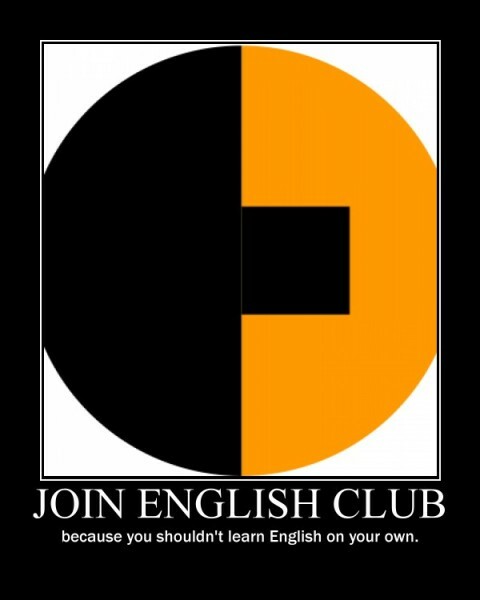 Free club for learners and teachers of English worldwide. Use the tag#twinglish to practise English on Twitter. I’m obsessed with finding the best way to learn a foreign language. 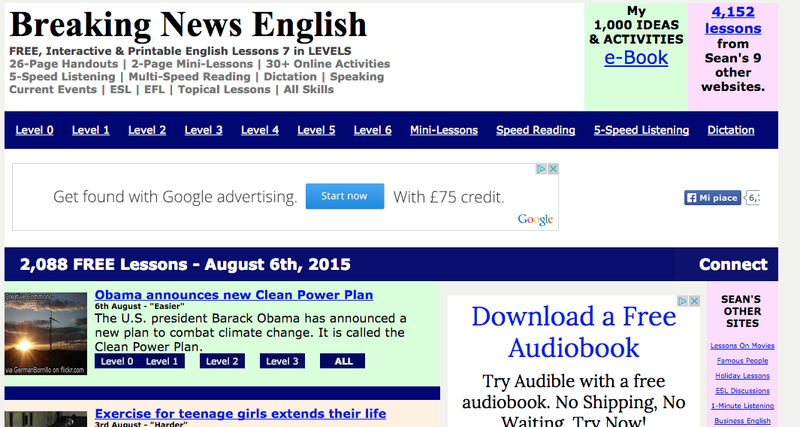 I tweet lots of links to daily English lessons on http://PhraseMix.com . English Central makes improving one’s English fun and effective by turning popular web videos into powerful language learning experiences. ESL teacher/trainer/publisher – Rolls off the Tongue cartoon idioms on FB & tumblr; WhatSoFunny? on FB & Audioboo dares to explain jokes to English learners. These tweets and twoughts keep the readers of our Readers in the loop! Visit our website for more. 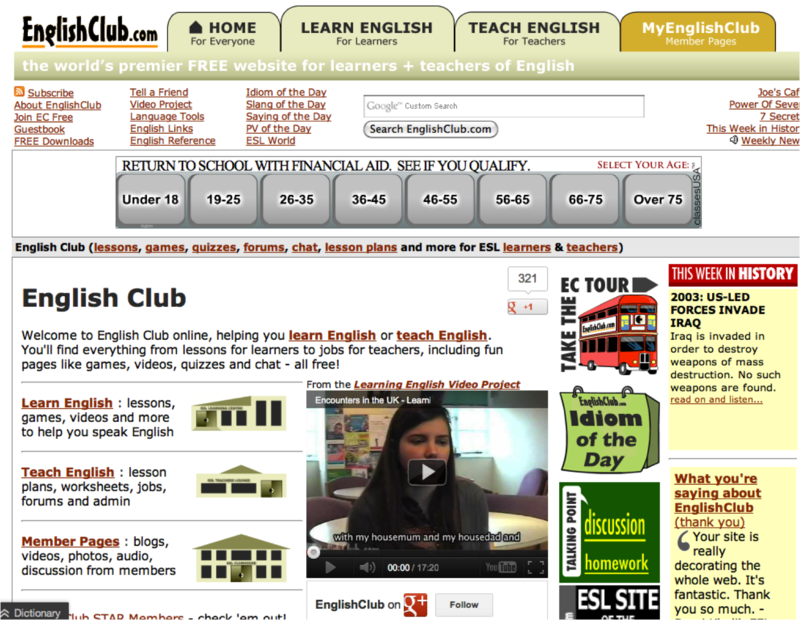 Free English Lessons Online, by ESOL Courses. Links to free English activities tweeted by our web team (Sue tweets as @esolcourses). Follow us to learn English! Hi, I’m an Australian living in Greece and an ESL / English teacher and I love meeting people from around the world. I teach English online over Skype. Freelance EFL tutor. Remote learning evangelist. Hates IELTS. Loves IELTS. Blogs about it anyway. Now talks Chinese to his fish. Mejora tu inglés! Pronunciación, gramática, vocabulario y cultura americana en mi web. A hashtag is a topic on Twitter. Every time someone includes # followed by a word, it becomes a hashtag. You can read hashtags without joining Twitter by using Tweetchat. #twinglish is a hashtag especially for English-language learners, where learners from around the world share what they are doing and practise their English at the same time. Others are #engpls and #eigo. You can also find hashtags for any of your hobbies. It’s a great way to learn words connected to the things you like. For example, if you enjoy films, you could follow the #film hashtag. 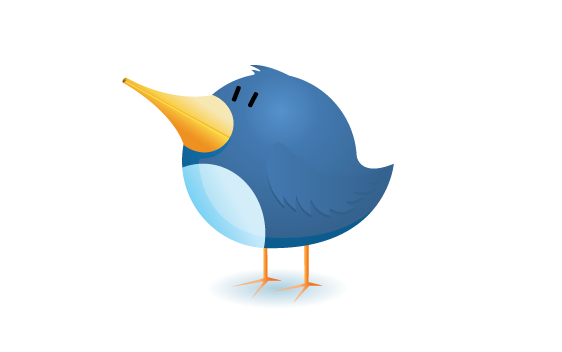 If you think I’ve missed any useful tweeters or hashtags for English-language learners, please let me know in the comments, and tell me why English learners should follow them. 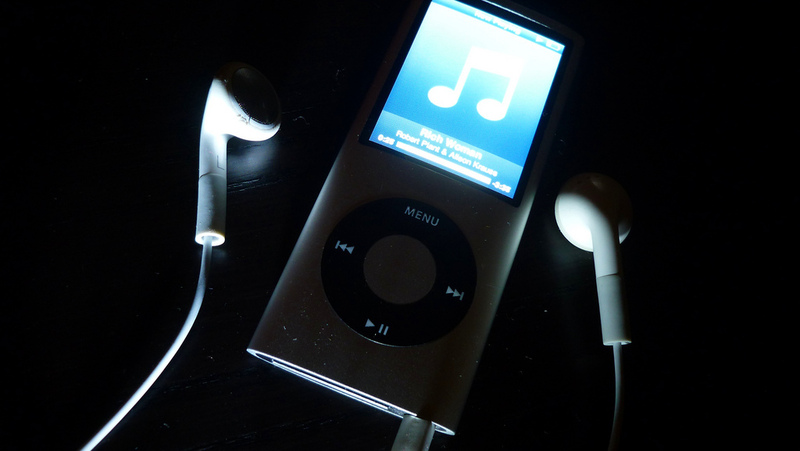 I’ve already written an introduction to podcasts, including what they are and some activities that you can use with them. They give you practise in listening to different kinds of speaker: male and female, different ages, and from all over the world. They make you think about different topics, including most, if not all, of the ones which usually appear in IELTS exams. This will help particularly with writing part 2 and speaking part 3. They are often linked to written content, which gives you further reading practice. 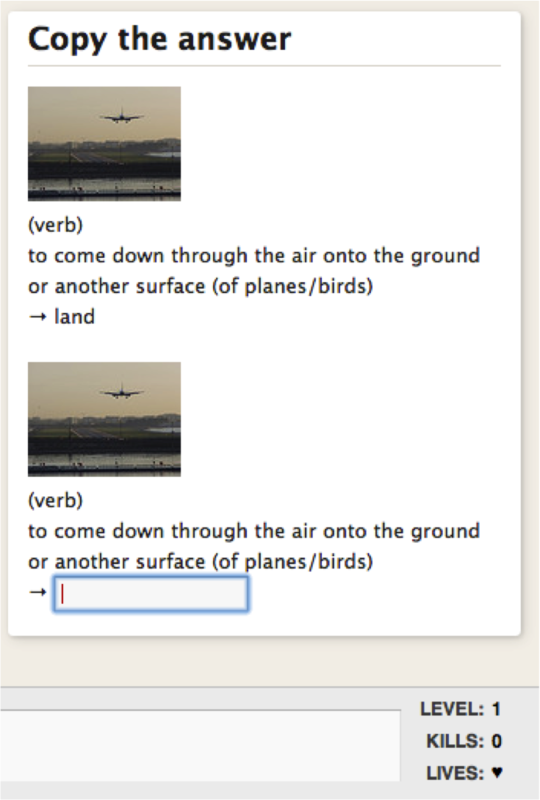 They introduce you to topic-specific vocabulary in context, showing you how it is really used. You can listen to them as many times as you like, so if you have problems with listening in class because you only hear it once or twice, you can use podcasts to get more in-depth listening practice. And finally, hopefully, they’re a bit more interesting than what you might study in class because they’re real! If you have any other suggestions, please add them in the comments. Science in Action: 17-18 minutes; covering three or four topics in each episode. Material World: 28 minutes; covering at least four science-related topics in each episode. Click: 27 minutes; covering at least four topics in each episode, all related to digital technology. Focus magazine: 5-60 minutes; some podcasts are called Q & A (Question and Answer), with up to ten listeners’ questions about science being answered; others include interviews with science authors. You can also look for the Reith Lectures entitled ‘Scientific Horizons’. There are three episodes, each 42 minutes long. This includes areas like climate change and globalisation. Costing the Earth: 28 minutes; each episode looks in depth at one problem connected to the environment, for example, green energy or recycling. Reith Lectures: 42 minutes each; look for the five lectures about ‘Bursting at the Seams’, which deal with problems of globalisation, or ‘Respect for the Earth’, about how the Millenium Development Goals can be met. A Point of View: 10 minutes; the episode ‘Hermie’s ghost’ looks at media coverage of global warming; ‘Attach of the Wheelie Bins’ gives one person’s view of global warming. At the end of every year, there are often podcasts featuring predictions about the year to come. For example, Crossing Continents has an episode called ‘Correspondents’ Look Ahead’ at the end of December 2012. A Point of View has an episode called ‘New Year Prediction’. Four Thought: 19-20 minutes; each episode looks at how one issue could affect our future. Forum 60-second idea to change the world: 5-7 minutes; in every Forum episode one of the speakers spends sixty seconds describing an idea which could change the world; the other speakers then discuss whether it could work or not. Excess Baggage: 29 minutes; each episode normally meets three different people who have travelled to different parts of the world. The programme is no longer updated, but there are 85 old episodes you can still listen to. The Why Factor: 18 minutes; why do we do the things we do? This is just a selection of podcasts which could help you improve your IELTS score. Do you have any other ideas? NOTE: I am NOT an IELTS examiner, and I cannot mark your work. I will also NOT respond to any messages requesting direct help. This list is intended only to offer you ideas to make your studies more relevant to the real world. Do you read much in your own language? What about in English? What kind of things do you read? A lot of us read all the time without really realising it. How many text messages, emails or facebook messages do you read every day? Do you use Google? Are you like me, reading whenever you can, even if it means reading food packaging because that’s the only thing available?! Here are some ideas that should help you get more out of your reading in English, and understand more of what you are reading. If you have any other tips, please leave them in the comments for others to read. If you don’t read much in your own language (and sometimes even if you do) it can be difficult to motivate yourself to read in English. It’s important to read things which you are interested in, or which you know will help you in some way. For example, if you love football, but hate going to the cinema, read the sports section of the newspaper and don’t read film reviews. If you want to go to an English-speaking university to study marketing, read marketing books in English. If you aren’t interested in science and technology at all, don’t bother reading about them! Reading more doesn’t just help you to improve your reading skills. It also improves your English instinct by helping you to recognise the way grammar, vocabulary and punctuation are used in practise. Through this exposure, reading makes writing easier too. Finally, reading can give you information about lots of different areas of culture, and help you to learn how other English speakers see the world. If you are using a text from the internet, it is very simple to find out how challenging the text you want to read is by following the instructions below. If the text is not from the internet, read the first paragraph or first few sentences. How many words are there which you have never seen before? 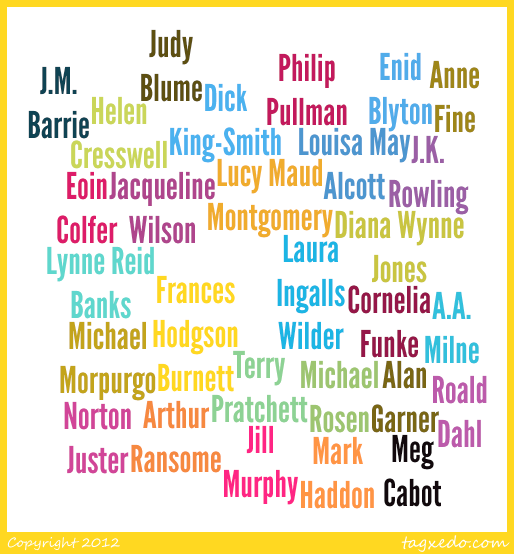 If you don’t know a lot of them, you should probably try reading something else. In the second box write any words which you want the checker to ignore, for example names. black: these words are some of the 3000 most common words in English, so should be the easiest to understand. red: words which are not part of the Oxford 3000. If you look at the words here, some of them may still be quite easy, like ‘Antarctica’, ‘UK’ and ‘Australian’. blue: words which are on the list of specialist words for Art, Science or Business and Finance. In a typical lower intermediate text close to 100% of the words will be Oxford 3000 keywords. In a typical upper intermediate text 90-95% of the words will be Oxford 3000 keywords. In a typical advanced text 75-90% of the words will be Oxford 3000 keywords. That means the text I will use as my first example in this guide is an advanced level text (86% of words in the Oxford 3000), but hopefully my tips will help you to use it anyway! Why does this help? 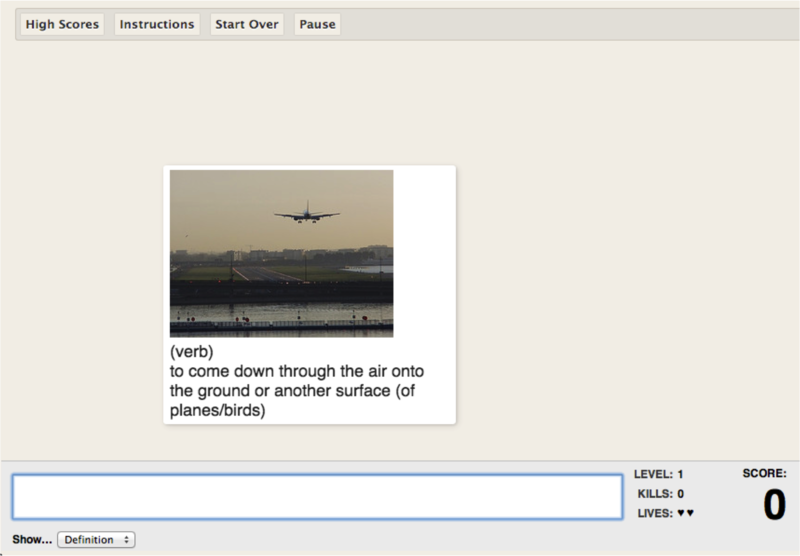 Text checkers can help you to focus on the most important words you need to understand a text. 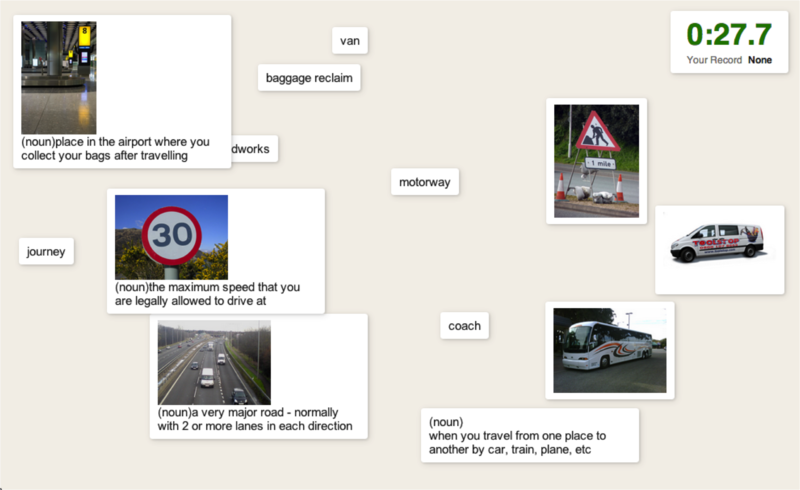 See ‘Looking up vocabulary’ below for more information. When should I do this? Text checkers are most useful when you are trying to choose something to read yourself, but you are not sure about the level of difficulty. Things you get from your school/teacher should already be right for your level. Before you start to read something, spend a minute or so using clues to help you predict what you will read about. Think of five words which could be in the article. Think of two facts you think could be included. Mine are: Counting penguins from space is not as dangerous as counting them on the ground. It is important to know how many Emperor penguins there are to know how climate change affects them. Think of two questions you would like an article with this title and this picture to answer. Mine are: What methods were used to count the penguins? How much did the project cost? Then read the article as quickly as you can to find out if your words/facts were included or your questions were answered. Three of my words were there, both of my facts were, and one of my two questions was answered. Why does this help? Prediction ‘puts your brain in the right place’ ready to read about a specific topic. Reading quickly gives you an overview of the whole text. When should I do this? This is best for short texts, or done between small sections of a longer text, for example before each chapter of a book. Read your chosen text more slowly, then turn it over/minimize the window and try to remember the main points of the text. You could write them down or record yourself saying them. There are twice as many Emperor penguins as originally thought. I think they said there are about 600,000. The scientists who did the study are from the US, UK and Australia. They find the colonies by looking for the brown patches of penguin poo, then count them using the satellite images. Sometimes they have to check the counts using aerial photographs or ground counts. Climate change means the amount of ice could decrease in the future, although it is happening faster in the Arctic than the Antarctic at the moment. By counting the penguins now, scientists can track how changes in the ice affect the population. If the ice shrinks, the number of krill (which the penguins feed on) could decrease too. A reduction in the amount of ice could also mean baby penguins don’t have time to become adults before the ice melts, so they will die. This was the first census of a species from space. Then read the text again and focus on the points you couldn’t remember or didn’t get quite right. There are 44 colonies of Emperor penguins, including 7 which weren’t known about before. There are 595,000 penguins, not 600,000 as I thought. Warming in Antarctica could also mean new predators, which would be bad for the Emperor penguins. Why does this help? Summarising texts helps you to train your short-term memory. It is good writing or speaking practice. Most importantly, it helps you to see how much of the text you can understand. When should I do this? It is normally best to summarise a text after you have read it a few times, as this will help you to remember more facts. Don’t forget to compare your summary to the original text to check it! As a general rule, try to only look up a maximum of four or five words each time you read any text. Remember, you don’t need to understand EVERY word in a text to be able to understand the general message. If you need to look up more than this, then you are probably reading something which is too difficult. Use the text checker described above to help you choose something easier. words which I have seen more than four or five times in the same text, but I still don’t understand. It is best to use a monolingual dictionary to look up words, as this is also a kind of reading practice. Find out how to use a monolingual English dictionary. Why does this help? Looking up every word you don’t know is a quick way to get depressed and demotivated about reading in a foreign language! Choosing to only look up some vocabulary is good practice, especially if you remember to learn the new words and phrases too. I also find that the words which I have seen many times before I look them up are easier to remember than words which I have only seen once. For example, I was reading a German book and kept seeing the adjective ‘spöttisch’. It was not important to the story, but I was annoyed because I didn’t understand it. I looked it up once, and I still remember it means ‘mocking‘. When should I do this? Don’t start underlining words or looking them up until you have read the text completely at least once. If you don’t read the text first, you will start reading the words but not the meaning, making it harder to understand the text. Do you do a lot of grammar exercises? Do you try to learn a lot of new vocabulary? Do you have trouble using punctuation in English ;:!? You can use reading to help you. Choose a piece of grammar (for example the passive), a piece of vocabulary (for example ‘make sacrifices’) or a piece of punctuation (for example an exclamation mark!). Find quite a large amount of English text, like a newspaper, a few pages of a book or an entry on Wikipedia. Read it as quickly as you can looking for your chosen piece of grammar/vocabulary/punctuation. Every time you find it, highlight it. When you have a few examples, go back and look at them more carefully. Ask yourself questions about why the writer used them. For example, why did they choose to use the passive and not the active? What other words can you find around the collocation ‘make sacrifices’? How many times did the writer use an exclamation mark in the whole text? Why does this help? These kind of questions help you to see how the theory you study is used in real English. It helps you to understand how common or unusual some grammar/vocabulary/punctuation is in different styles of written English. Spending a couple of minutes looking for a piece of vocabulary can also help you to remember it more easily. When should I do this? Try not to do this too often as it can be depressing if you can’t find what you are looking for! However, using this technique sometimes is a great way to activate your grammar/vocabulary/punctuation knowledge and it will also help to improve your writing. Books are a great way to get a lot of exposure to language in context. Try to read for at least ten minutes each time you sit down. This gives you time to get in to the story. If you just try to read one page at a time it is difficult to understand the story. Don’t read books with a pencil! If you do, you read the words but not the story. Only look up words that you see many times. If you have seen it so many times that it annoys you, you will remember it much more easily when you do look it up (see ‘Looking Up Vocabulary’ above). Don’t worry if you don’t understand the story at the beginning. I expect not to understand the first 25% of any book I read. If you keep reading you will find you understand more and more. I normally understand more of the second 25% and almost all of the last 50%. You need time to get used to the characters and the way the author writes. Only read stories you would consider reading in your own language. I tried reading some chick lit in German but gave up after about ten pages, because it annoyed me too much! I would never read chick lit in English, so in German I didn’t enjoy it at all. Why does this help? Reading longer texts regularly is proven to really improve language skills. Language learners who read regularly in a foreign language are generally those who reach higher levels fastest. It can also be an enjoyable way to practise. When should I do this? Whenever you can! Reading doesn’t have to be something you do alone. A lot of the activities here could be done with a ‘reading buddy’. Both of you could read the same thing and do the same activities, then compare the results you have. For example, when predicting, did you choose the same words? Can your partner help you understand some vocabulary which you don’t know? If you both read the same book at the same time, you could meet to discuss the story and what you think will happen next. Why does this help? It is good to read with another person as you can motivate each other to continue. It can also help you to see that other people have the same problems as you if you are finding things difficult. When should I do this? As soon as you have found a reading buddy! I hope all of these tips are useful. If you have any other tips to share, please add them in the comments. 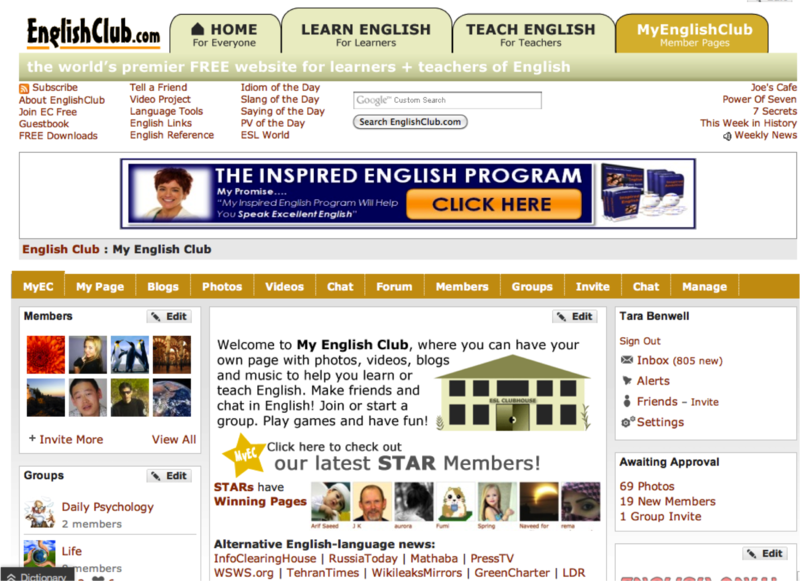 Englishclub.com has been online since 1997. 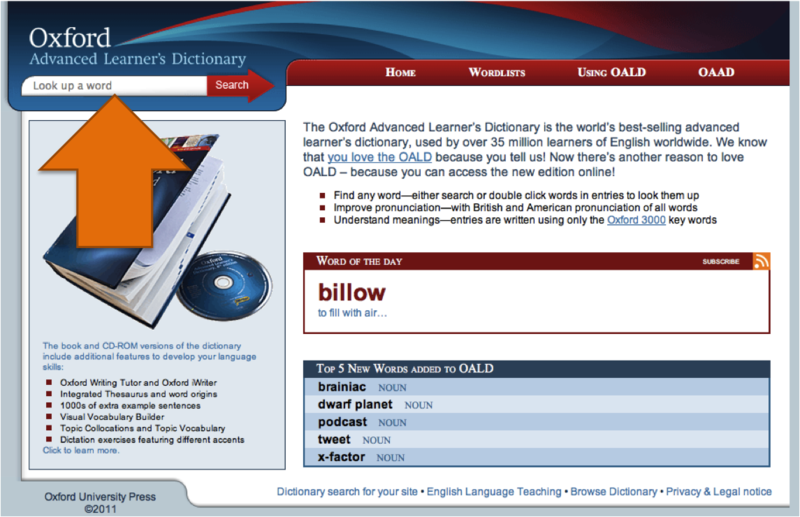 It was one of the first websites for English learners, and has been growing in popularity ever since. 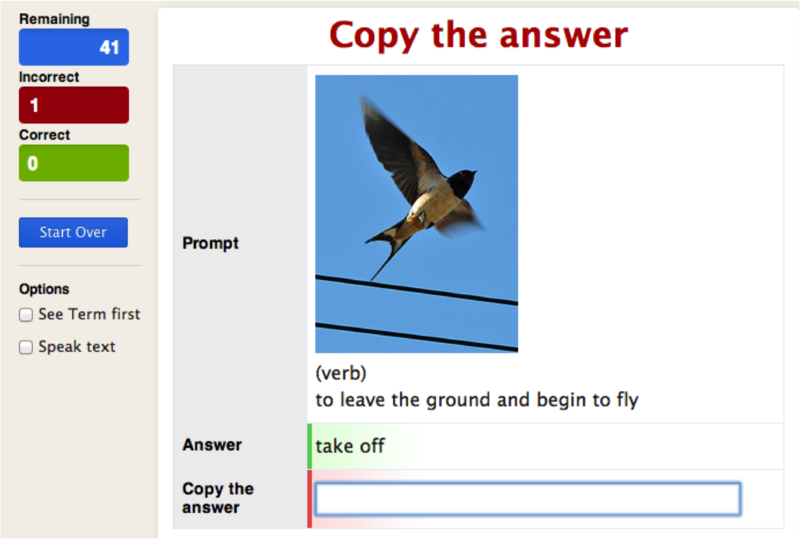 The site is useful for self-learners as well as learners who study English at school. This club is FREE for English learners and teachers. On the homepage you will see a red bus. Click on the bus for a very short tour of the site. You will discover the 5 main sections. 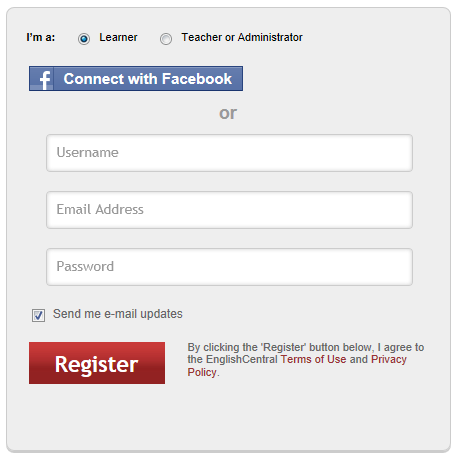 The Learn English and Member Pages are the most popular sections for English learners. The Grammar pages in the Learn English section are written in easy English. We also have a Grammar Help Desk. Do you want to learn phrasal verbs? Do you need listening practice? Are you looking for dictations or videos? 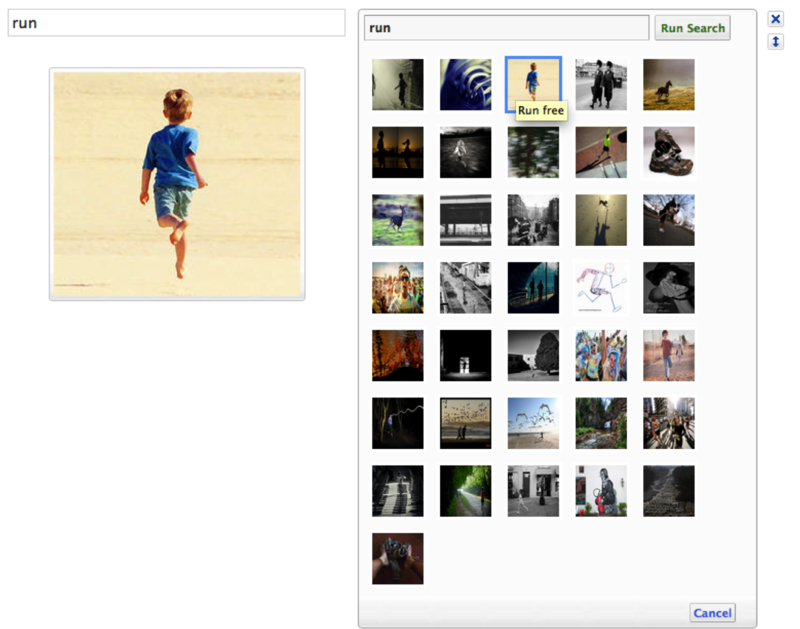 Find exactly what you are looking for via EnglishClub.com’s search box. 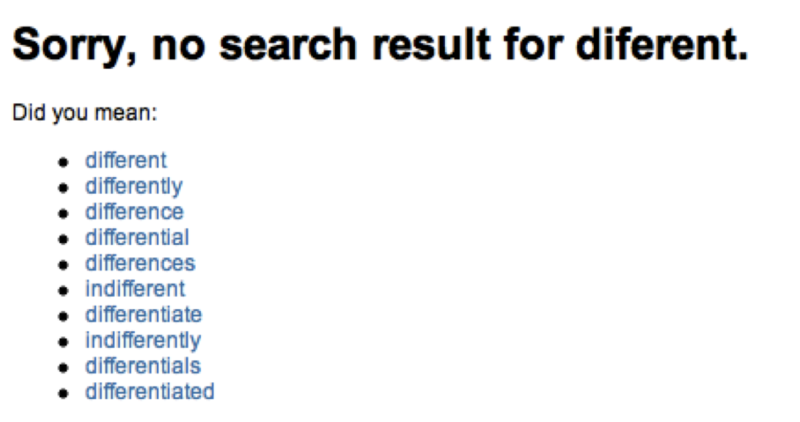 The search box on EC is on every page, and works just like Google. Some of the search results will be for English Club’s main site. Some will be from the Member pages. Search is very helpful if you need homework help! If you can’t find what you are looking for, put in a request. English Club will email you regular updates if you request them. You can receive all of the new pages, or just the ones you want. 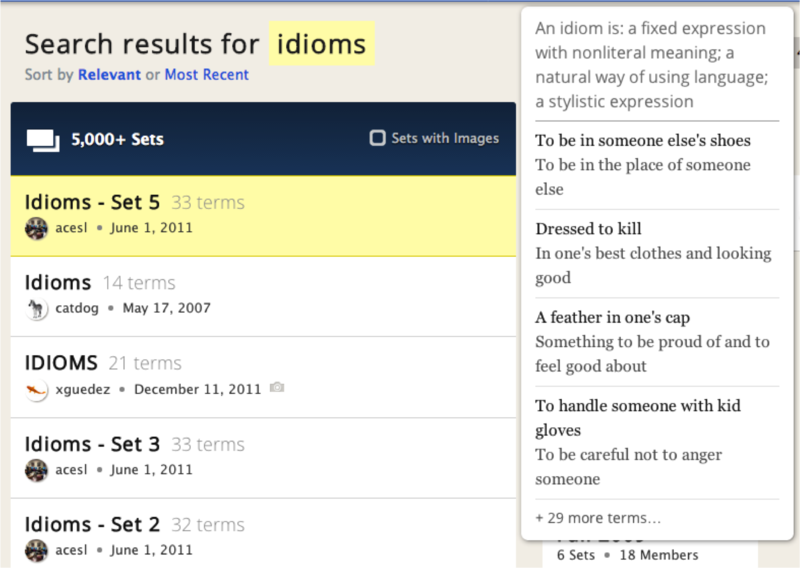 For example, many members subscribe to Idiom of the Day! Choose the feed you want here. You can also see all of the new EC content in a sidebar on MyEC (Member Pages). My English Club (MyEC) is the social side of English Club. Sign up to receive your own FREE Member webpage, blog and media gallery. Blogging within a community is a great way to practise English. You will have an instant readership of thousands of English learners and teachers. Read the FAQ for more details. Here are some of the things we do on MyEC. What are your interests? Do you like music, cooking, or anime? MyEC has several groups that you can join. Find other learners with the same interests and practise your English as you discuss topics that interest you. Any member is welcome to add a new group. Many English learners (and teachers) come to EC to chat. MyEC has one of the most active international chat rooms online. We have an English-only policy, and our moderators work hard to make sure that our chat room is a fun, safe place to practise English. There is also a chat room on the main site called 1997 Chatroom. Here you can create password protected private chat rooms for you and your friends. Many of our long-term members and teachers create regular challenges for English learners to try. These include writing, photo, video, and audio challenges. You can also create your own challenges and contests! Try fun online tools that embed right in your blog posts. Self-study is becoming a popular way to learn English, but don’t try to learn a language alone. MyEC will help you make good friends quickly. Join the “Find a Learning Partner Group” to post a request for a learning partner. You can also use the Advanced Member Search to find other learners in your level or country. 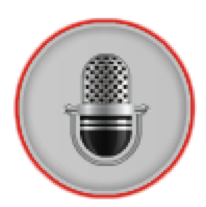 Our members use tools like Audioboo to record and share their voices. The Audio Speaking Group is a great place to practise speaking. 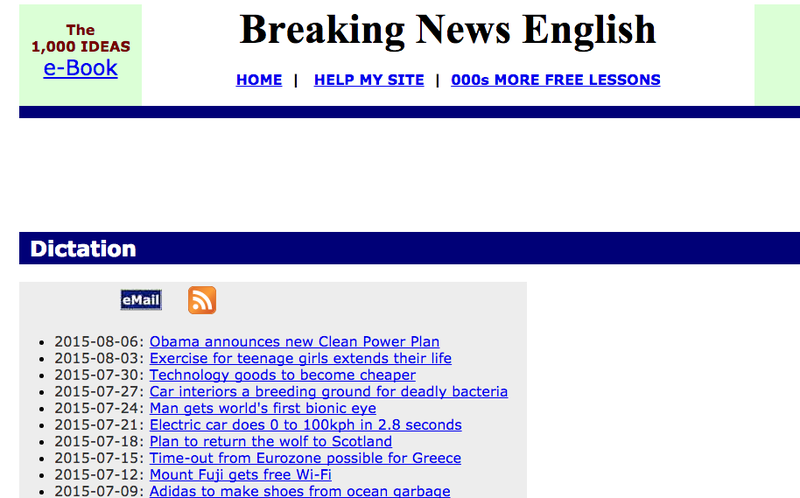 In this group you can practise being a newscaster with EnglishClub.com’s Weekly News. Volunteers will help you improve your pronunciation. Many English Club members also Skype together. Find out who uses Skype by using the Advanced Member search. 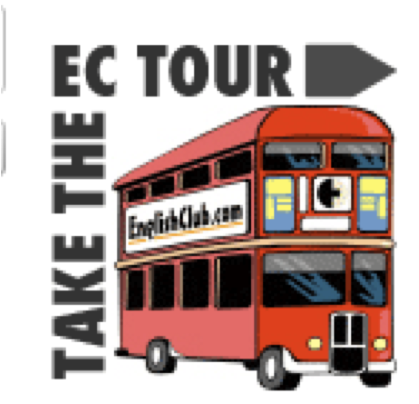 EnglishClub is on Facebook, Twitter (@EnglishClub), YouTube, and Google +. You can set your MyEC status updates to go to your other accounts. Use the tag #twinglish on twitter to tweet with English learners and teachers from around the world. Invite your friends to join MyEC. If you sign up for MyEC, be sure to add me as a friend, and let me know if you have any questions. I am Tara, the administrator of MyEC, and a teacher of English. I hope you’ll join my monthly writing challenges. 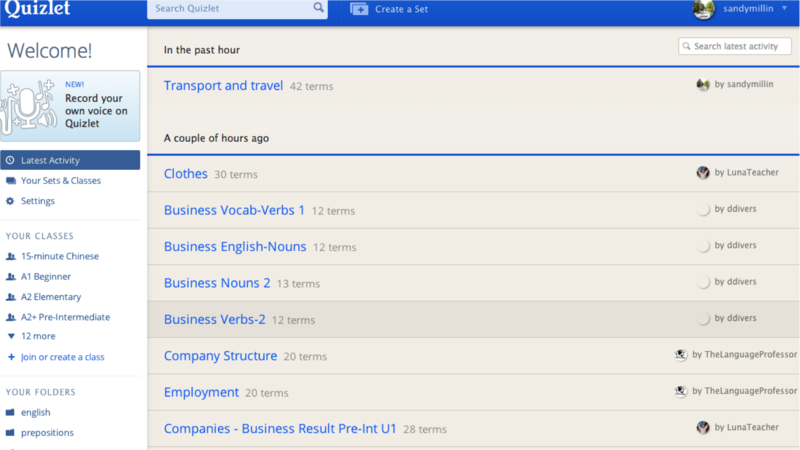 What is Quizlet exactly? We start with flash cards. 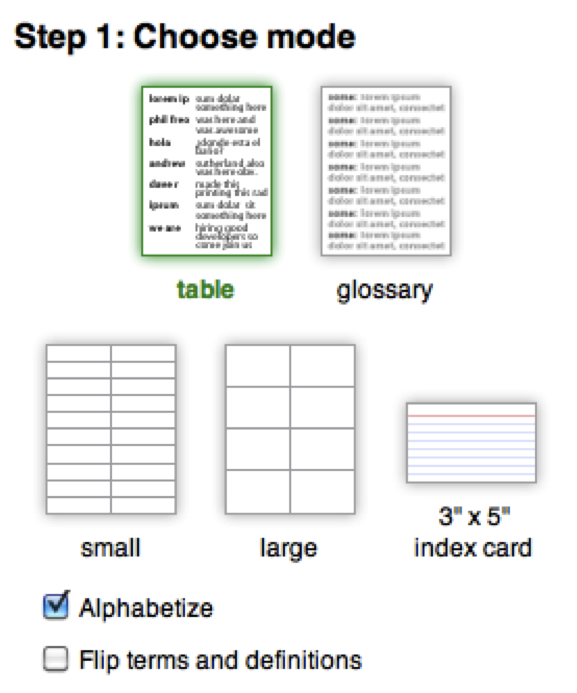 Students can make their own, or choose from millions of flash cards sets created by others. But that’s just the beginning – once you’ve got flashcards, you can use several study modes including multiple choice tests and study games. 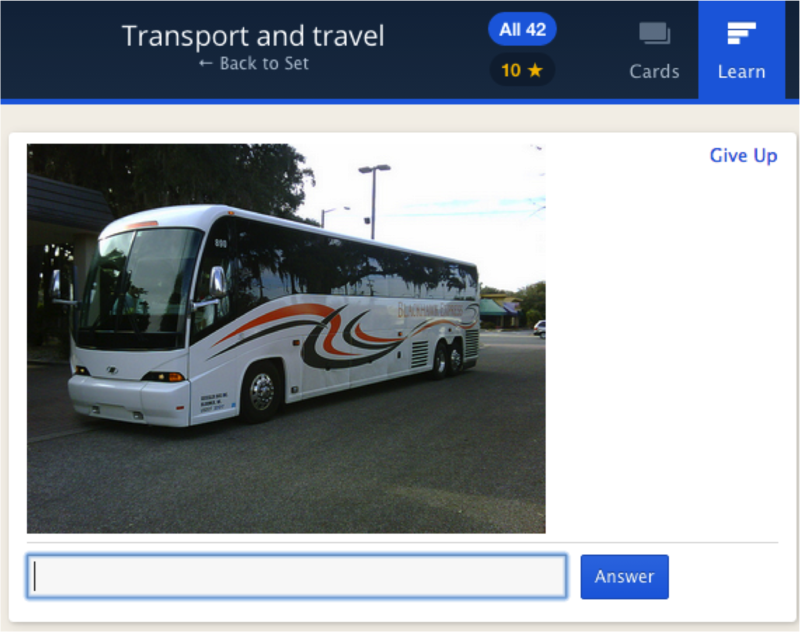 You can add images and listen to audio, and even study on the go with on of the Quizlet-compatible mobile apps. 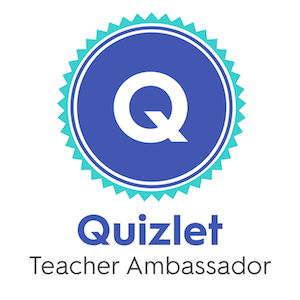 Please note: the last major update to this post was July 2016, and since then Quizlet has updated some of its functions, most notably the Space Race, and added the Quizlet Live function for teachers. Some of the screenshots may not represent the site as it is now, but a lot of the information still applies, and the links to my groups are still correct. Enjoy! 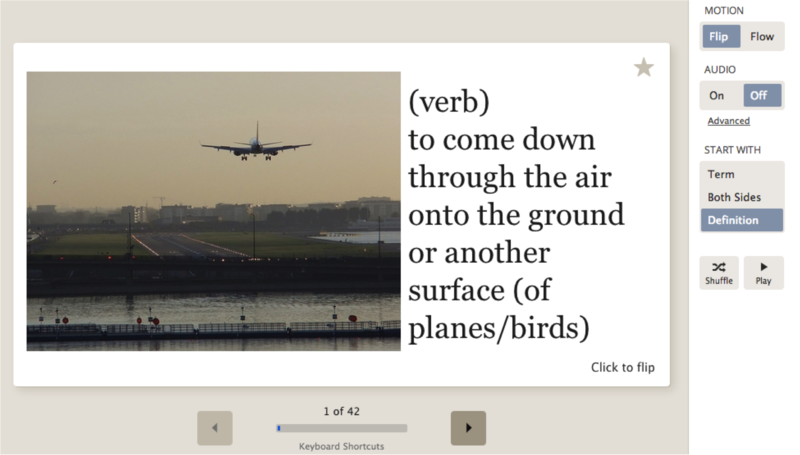 The site is very easy to use and allows you to study the vocabulary you want to learn in many different ways. You can make your own sets quickly and easily or use sets created by other people. 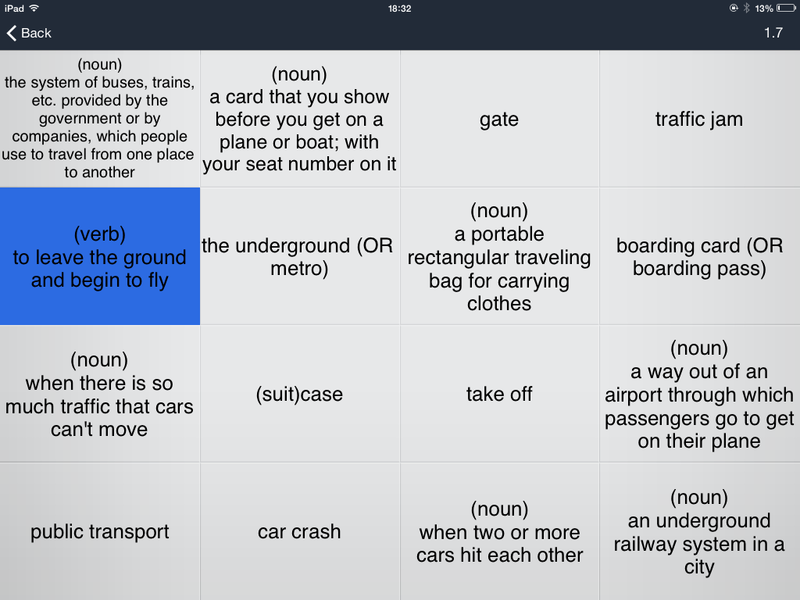 There is a lot of variety and repetition, making it much more fun than traditional lists of vocabulary. You can also use the site to study other subjects, including everything from history to biology and much more besides. You don’t have to sign up to use the site, but I would highly recommend it. Find out how here. To help you out, I have created groups of flashcards (‘classes’) for different levels of English learners. All of these groups contain only English, sometimes with pictures to help you understand the words. If you want to study something different, type in a keyword related to what you want to study, for example “idioms”, and press ‘enter’ or click the magnifying glass on the right. As you can see, there are over 5000 sets, which is quite a lot! 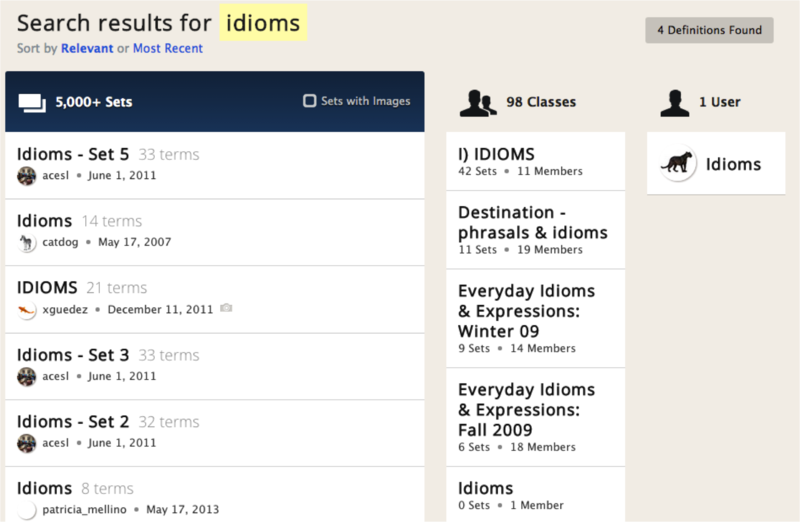 You can also see classes with ‘idioms’ in the title. To see what’s in a set, hover over it (point your mouse at it, but don’t click). This also helps you to see whether all of the information is in English. You can reduce the number of sets by choosing to show only ‘sets with images’. Now I only have 414 to choose from! If possible, I think it’s best to study using only the language you are trying to learn, so I will use an English-only set for my example. Once you have chosen the set you want to study, click on the title and it will take you to the set page. Click ‘Flashcards’ in the top left. 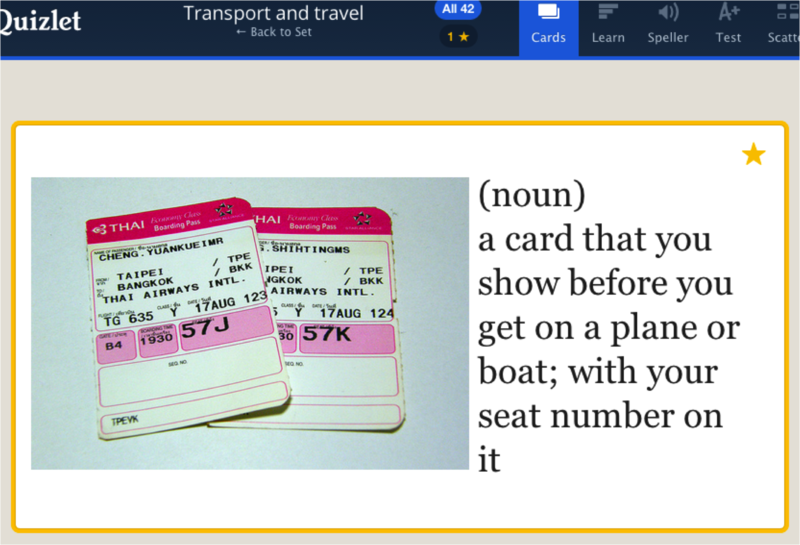 The flashcards show you the definition/picture at the moment. Click the definition to hear it. Read the definition. Click anywhere on the card to check the word/phrase. Click the word to hear it. Use the buttons on the right to change what you see first: the definition/picture, term or both sides. You can also change the way you see the cards (flip = 1 card, flow = all cards), mix the order of the words (‘shuffle’) or hear the words/sentences being pronounced – it is mostly computer pronunciation, unless a teacher has recorded it, so there are sometimes problems with the stress in the word, but most of the time it is correct. 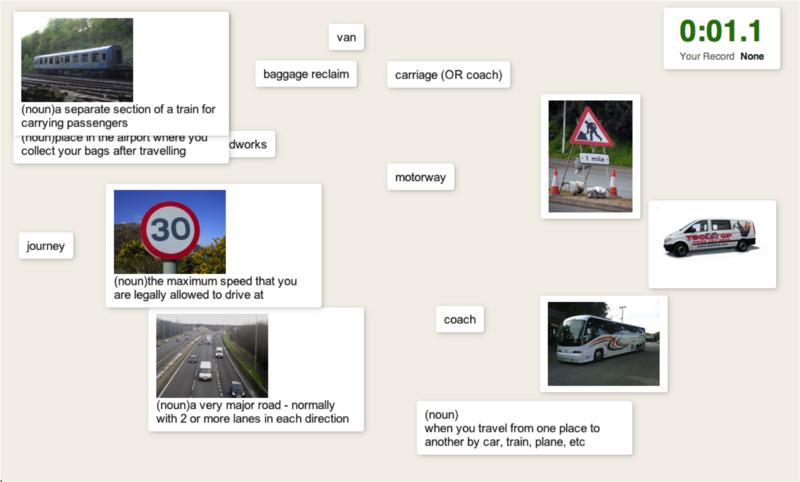 Use the arrows to move through the flashcards and familiarise yourself with the words. If you don’t know a word, you can click the star in the top-right corner. Three things happen: a star appears, you see a yellow line, and you can see how many stars you have at the top of the screen. You can click ‘All 42’ to study all of the cards, or ‘1 *’ to only study the words which are difficult for you. 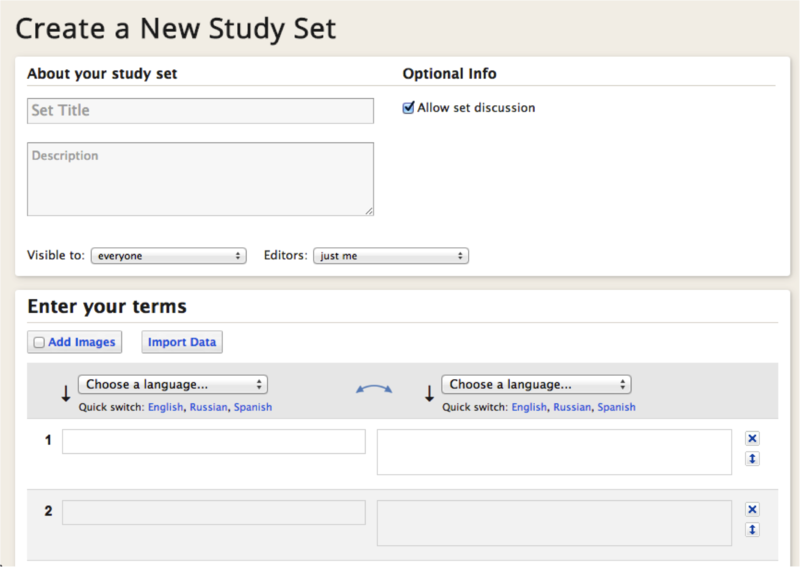 Click ‘Back to set’ to see the study page again. If you don’t want to use the computer too much, you can print the vocabulary in a few different forms. On the set page, look on the right. Click on ‘Print’. This will automatically open your .pdf reader (such as Adobe Acrobat or Preview). 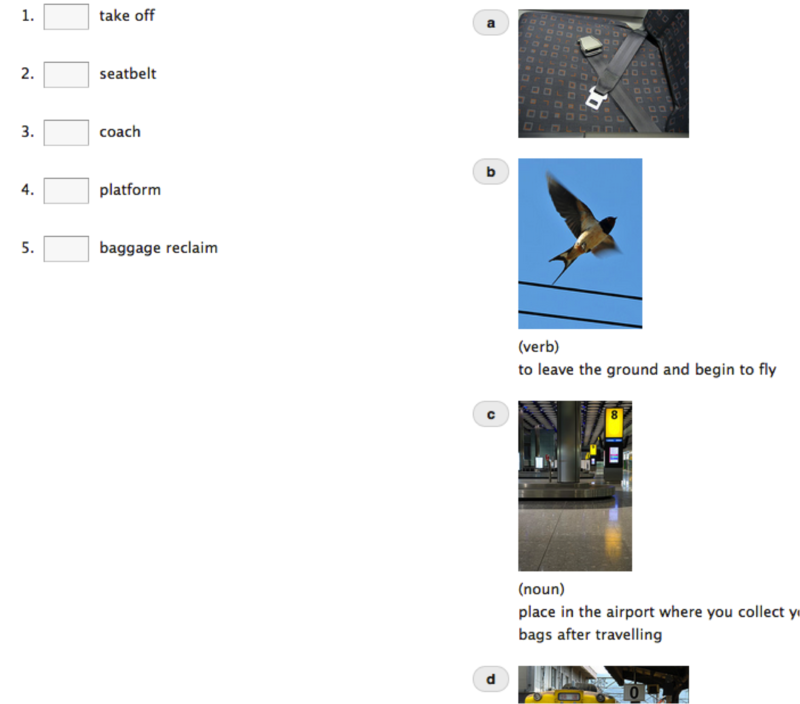 You can then print the flashcards from there as you would any other .pdf file. When you think you know most of the words, click on ‘Speller’ on the set page or at the top of the page. Listen to the word, look at the picture and read the definition. Click ‘replay audio’ on the left if you want to listen again. Above the replay button there is also a menu where you can choose whether the computer should speak fast or slowly. Write the word/phrase in the box with the correct spelling and press enter/return on the right of your keyboard. If you sign up with Quizlet, the site will remember this and you can continue from where you stopped the last time you used the site. You can continue with this mode to keep improving your spellings, or click ‘Back to Set’. Click on ‘Learn’ on the set page or at the top of the page. If you sign up with Quizlet, the site will remember which words you have studied and you can continue from where you stopped the last time you used the site. When you fancy a change, click ‘Back to Set’. Click on ‘Test’ on the set page, or at the top of the page. true/false: look at the word/phrase and decide if it is the correct one for the definition/picture shown. 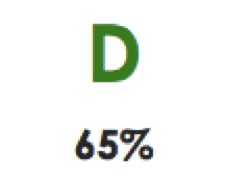 If you sign up with Quizlet, the site will remember your test score and you can try to do better the next time you use the site. When you have finished, click ‘Back to Set’. Click on ‘Scatter’ on the set page or at the top of the page. Click on any word/phrase and drop it on to the correct definition/picture. If it is right, the word and the definition will both disappear. You can also drop the definition/picture onto the word/phrase. Which one did I find first? When you have matched all of the vocabulary, you will see your time and the list of fastest times. You can click play again and try to be faster. 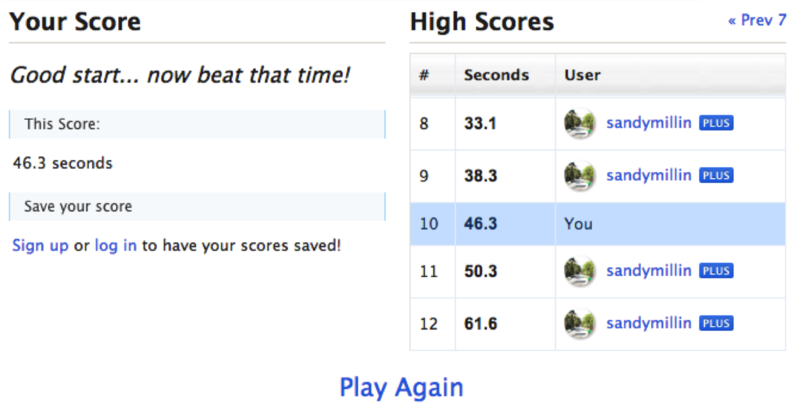 If you sign up with Quizlet, it will remember your fastest time so that next time you log in you can try to be faster. When you are ready to play another game, click ‘Back to Set’. Click on ‘Space Race’ on the set page or at the top of the page. You will see a definition/picture. 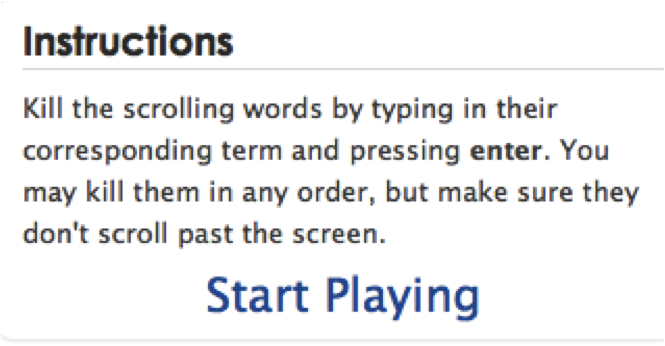 Write the matching word/phrase into the box at the bottom of the page and hit return/enter on your keyboard. If you are right the definition/picture will disappear. If you are wrong, it won’t, so keep trying! For every word/phrase you write correctly, you will get points and go up levels, as well as gaining extra lives. As you go up through the levels the pictures move faster, so you have to type more quickly. Don’t worry if you’re a slow typer though: the computer learns this and will go more slowly on level 1 to give you more time to write. When you have lost all of your lives, you will see the high score board. If you want to see your name on it, you need to sign up with Quizlet. If you use Facebook or Google and don’t mind attaching them to other websites, joining is very easy. Click ‘Sign up’ in the top-right corner. 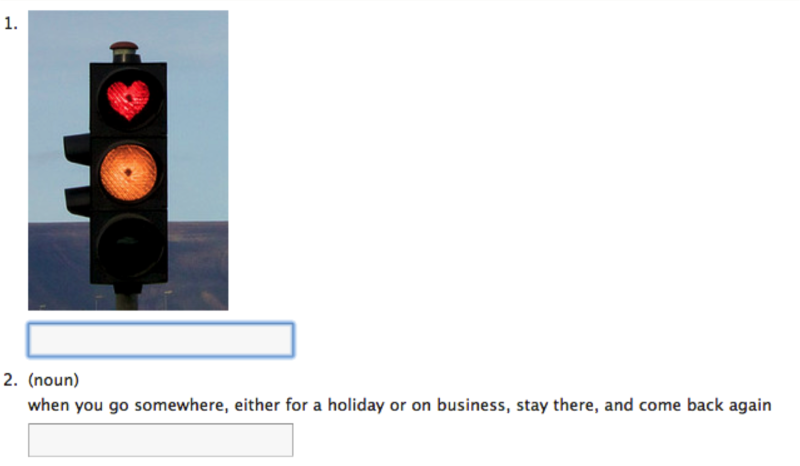 Then choose ‘Sign up with Google/Facebook’. 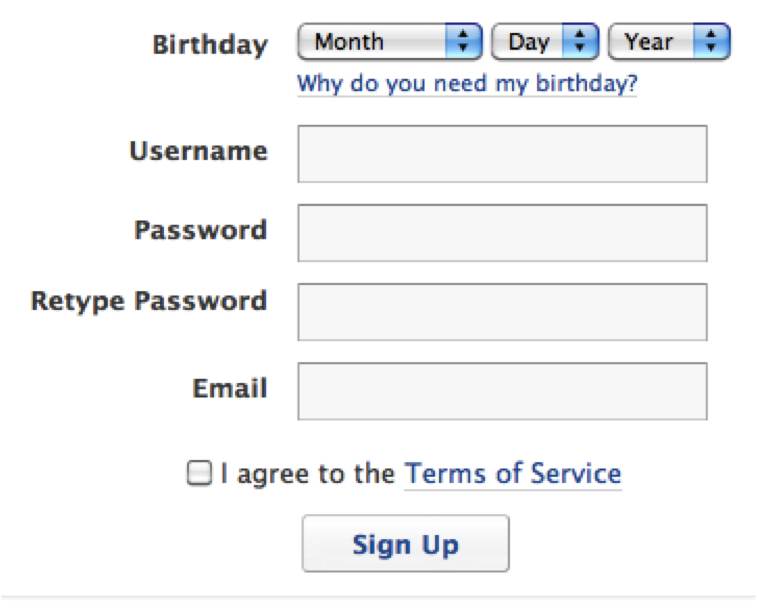 For facebook, complete your information in the pop-up window, then click ‘Allow’ in the next box which appears. For Google, choose your account, then follow the instructions. 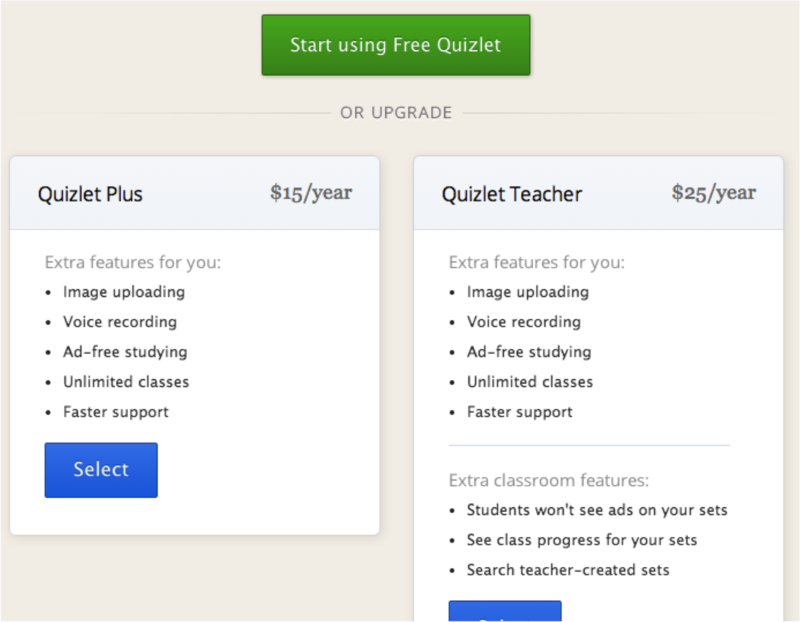 The next page will tell you about the difference between free Quizlet, Quizlet Plus and Quizlet Teacher. Everything I have shown you on this post can be used on free Quizlet. You need to pay if you want to use your own pictures to make flashcards, if you don’t want to see advertising while you are using the site or if you want to record your voice. If you don’t want to pay, click the big green ‘Start using Free Quizlet’ button. You can click on the name of any set to see the set page again. 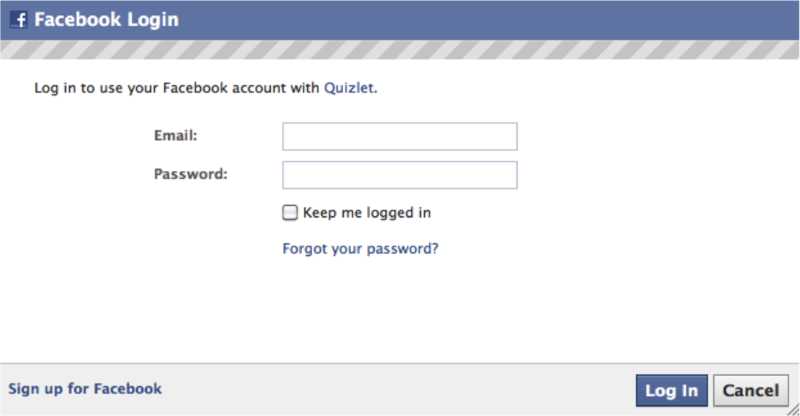 Once you have an account, Quizlet will remember what you have studied. 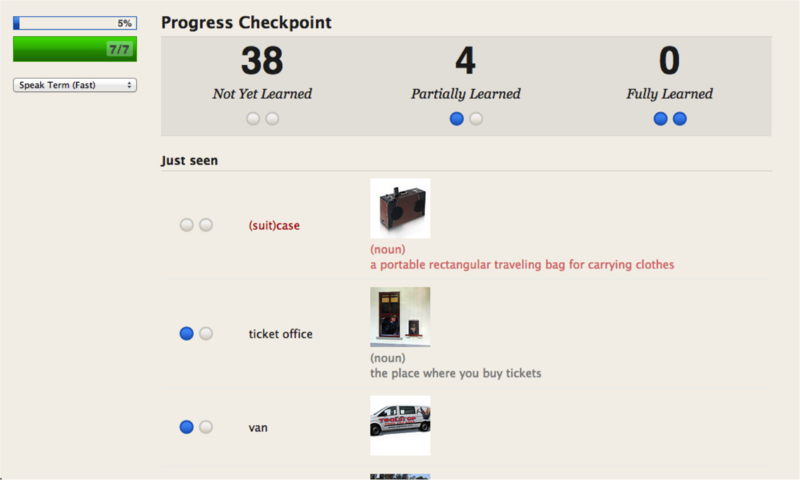 You can click on ‘Your Progress’ on the set page to see what you have done. You can also see which words are difficult for you. In this example, these five words are often a problem for me. 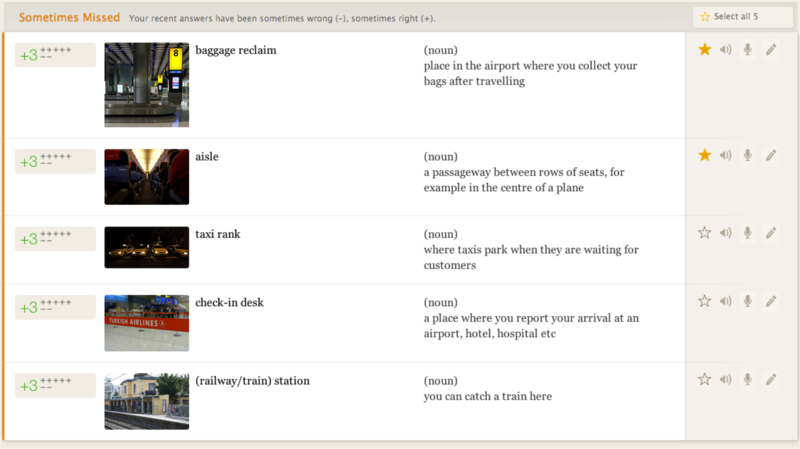 For example, when writing (learn/speller/test/space race) I got ‘baggage reclaim’ right 5 times and wrong 2 times. 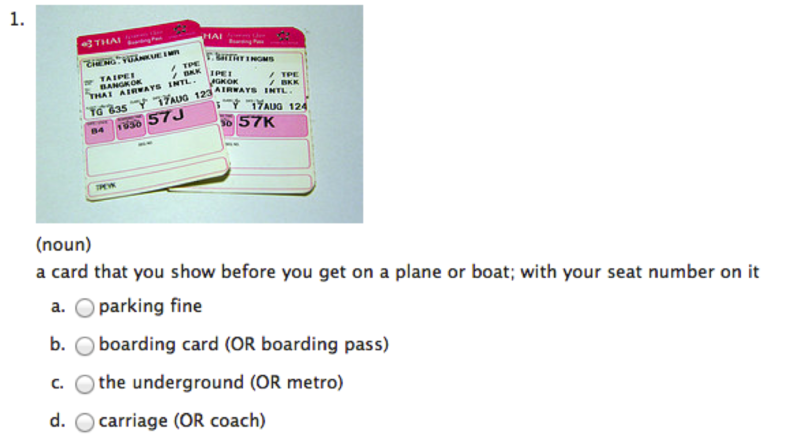 I have clicked the star next to ‘baggage reclaim’ and ‘aisle’ because these are the most difficult. I can click ‘Select these 5’ to put a star next to all of these words. I can now use any of the modes (flashcards, learn, speller, test, scatter, space race) with all of the words, or just with the difficult (starred) words. When I use all the words, everything will be blue. When I just have the starred words, everything will be yellow. To see if you are the best person in the group, you can click on Scores. 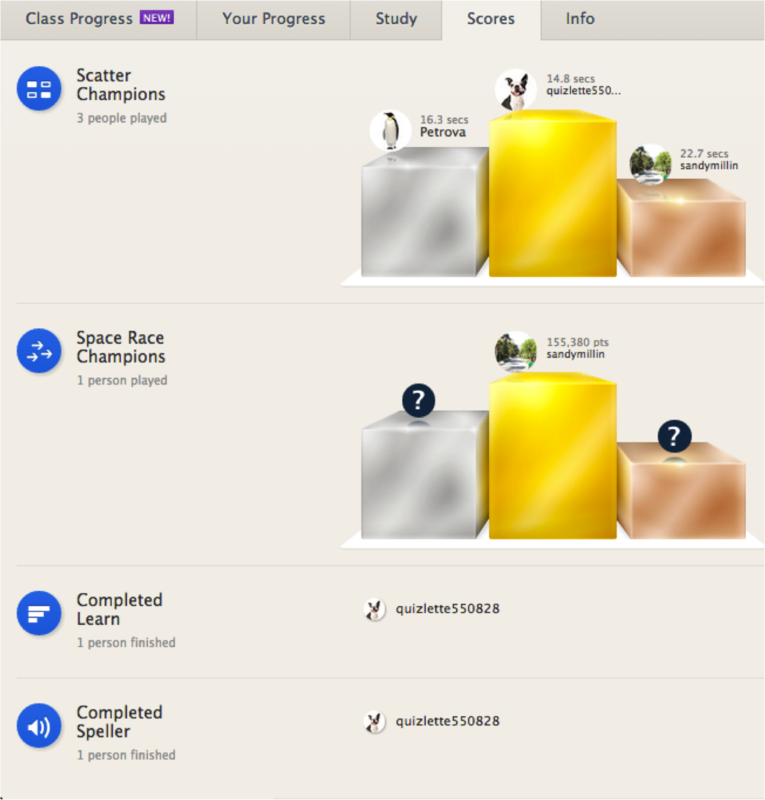 It tells you who has finished ‘Learn’ and ‘Speller’ modes, who has the best times in Scatter, and who has the highest scores in ‘Space race’. After you have joined Quizlet, you can click on any of the classes above to go to the group page. If you want to, you can click ‘Join Class’ on the right to get emails every time I add flashcards to the set. Write a title and a description for your set. 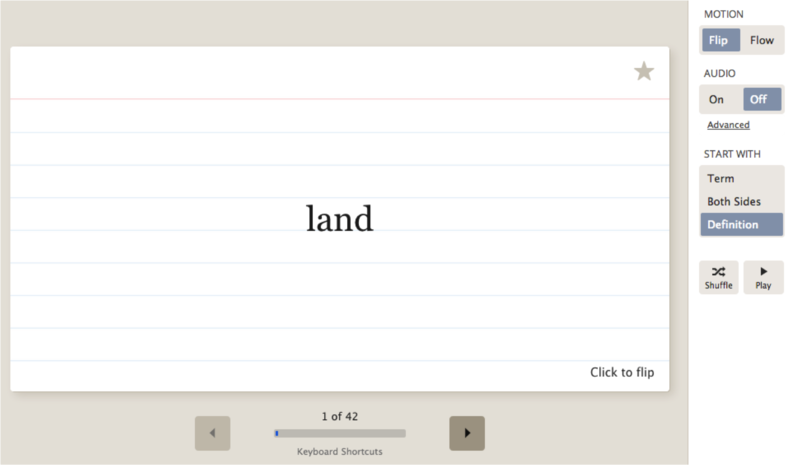 Choose a language for each side of your flashcards. Of course, the language on both sides should be English 😉 but you could put translations in the definition box if you feel you need to. Next, add some words and definitions. If you can’t think of a definition, click ‘auto-define’ and the computer will help you. You could also look at an online dictionary. If you have more than 5 words, click on the ‘Add Row’ text or press the ‘tab’ (->|) button on your keyboard and it will give you more boxes. 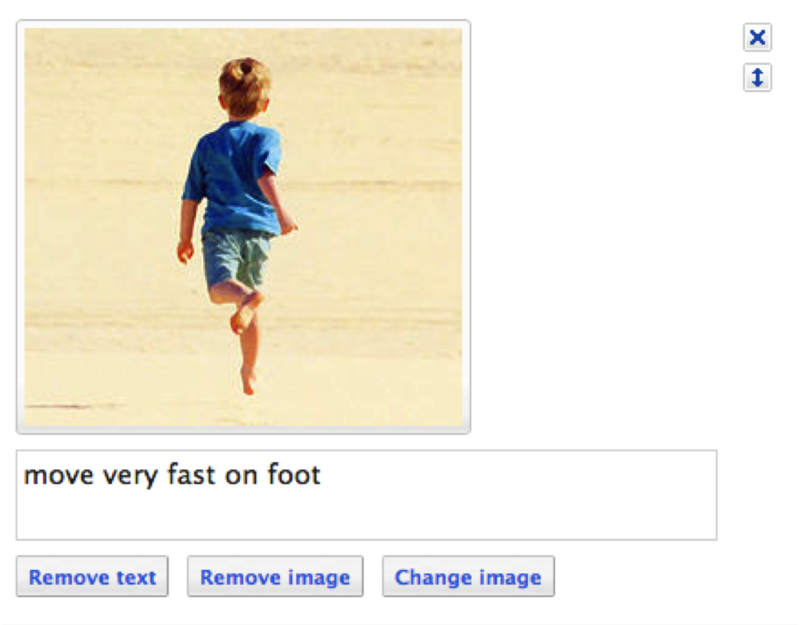 Quizlet searches Flickr to find pictures which match the word you typed in the first box. Sometimes these are suitable, sometimes not, so you might have to type different words in the search box to find a suitable picture. Hover (point but don’t click) over an image to see a preview. When you see a picture you like, click it. 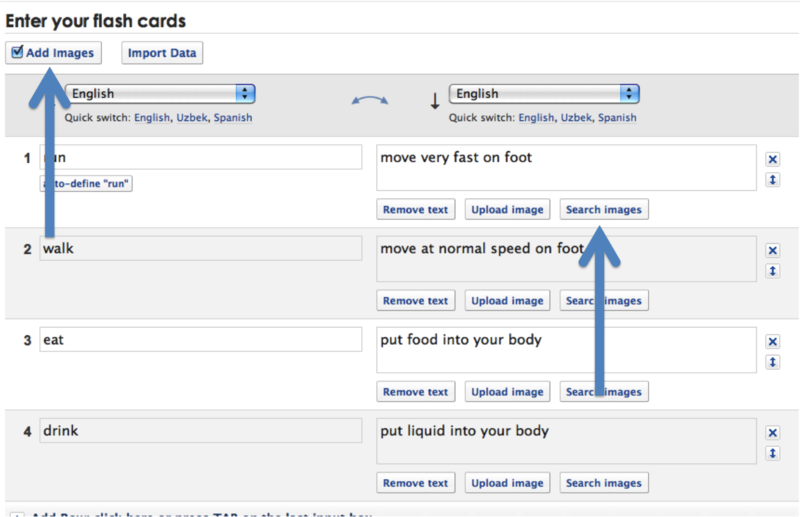 Both of these links will take you to the same page where you made the flashcards. If you have a smartphone or a tablet computer you can download apps to help you practise words on Quizlet. Go to the bottom of any set page. Then click on ‘iPhone/iPad’ or ‘Android’ to go to the app stores and download the app. I hope you enjoy using Quizlet and find this guide useful! 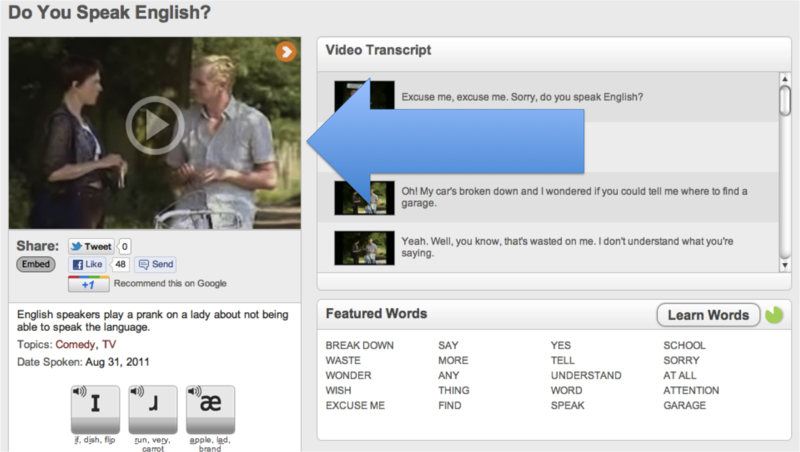 English Central is a website which allows you to watch videos, read the dialogue and record yourself saying it. 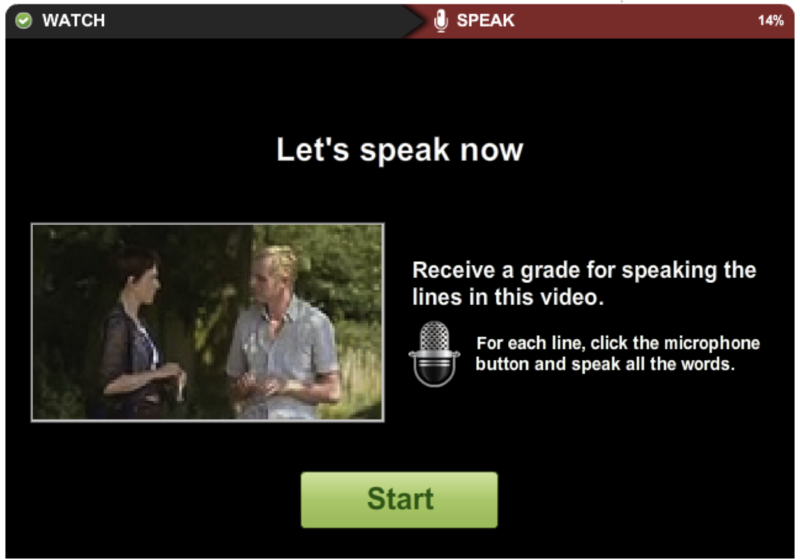 It analyses your pronunciation and compares it to the original video, offering advice on how to improve. It also helps you to expand your vocabulary. For me, the best thing about this website is the ability to work on your pronunciation. When you log in to the site (for free!) it will track your progress and show you how you are improving. It also records how many times you have seen pieces of vocabulary in the videos and shows you which areas of pronunciation to focus on. Here are some testimonials from students and another teacher who use the site. They describe why they find it interesting/useful. You don’t have to sign up to use the website, but I think you should, as you can personalise your experience on the site and it will remember things for you! Click ‘Register Now’ in the top centre. You will see this window. You can enter your details or join via facebook. Click ‘Register’. Next, choose your level. At our school we use levels A1, A2, B1, B2, C1, C2. These are part of the CEFR. Finally, personalise your English Central experience by telling it your native language, country and if you are male/female. When you have finished registering, you will be welcomed to the site with this box. When you first join English Central, you can choose a reason for studying English. This helps the site to choose videos which you might be interested in. You can edit this list at any time. 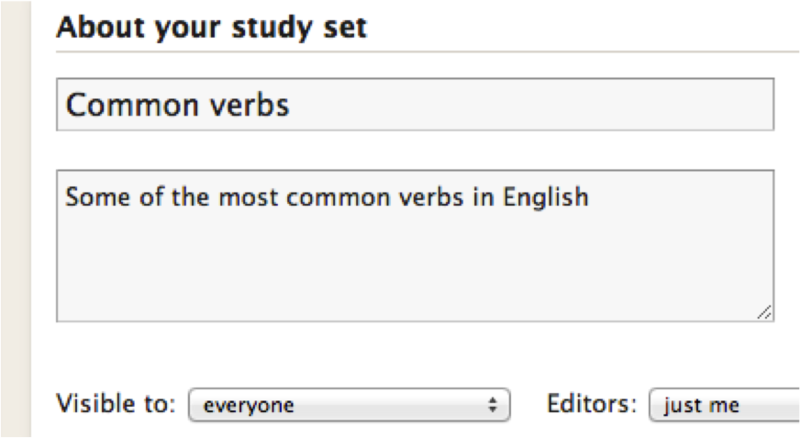 On the ‘My English’ page, look for ‘My Topics’. Next to it, click ‘Manage’. Then, tick the boxes next to the topics you are interested in. Click on the image from the video in the top left corner. Watch the video and read the words. If you want a puzzle, you can set a challenge. Click in the bottom right corner of the screen and tick the box next to ‘Hidden Challenge’. 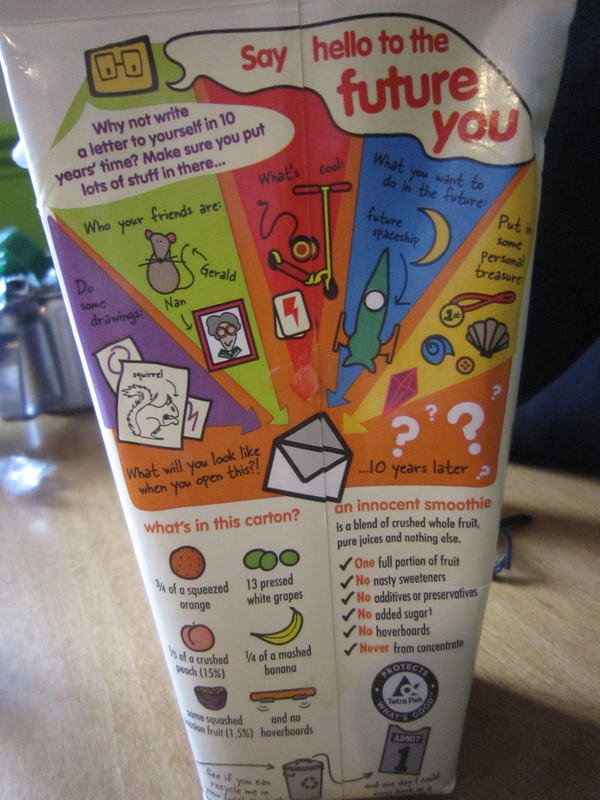 The programme will remove some words for you to write in. If there are any words you don’t understand, you can click on them to see a definition and example sentence and see and hear the pronuciation. 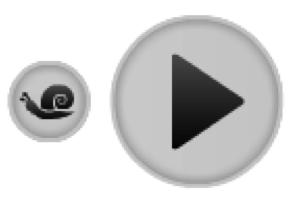 Click on the snail to hear any line more slowly. When you have finished watching the video, it will take you to the ‘speak’ mode. Click ‘Start’. Listen to the line again, and click on words if you are not sure about their pronunciations. When you are ready, click on the microphone. The green words are pronounced perfectly. There is a problem with the yellow word. Click on it to compare your pronunciation to the native speaker and to see what the problem is. I got 33/44 points for this line. I am a native British English speaker, so sometimes some of my pronunciation isn’t exactly the same as the American system. Don’t worry if you don’t get 100% – aim for 80-90% if you can. You can record each line as many times as you want to. All of the points for the videos go into your progress bar at the top of the page. The more videos you do, the more progress you will make. Eventually, you will move to the next level. So far, everything I have told you about is completely free. If you want to get more vocabulary practice, or listen to specialist pronunciation videos allowing you to focus on particular sounds, you need to pay. I haven’t tried the full paid version, so I won’t tell you more about it here, but if anybody does, please add your experience to the comments.